Jeff Goldenberg is a veteran of the Canadian startup space. 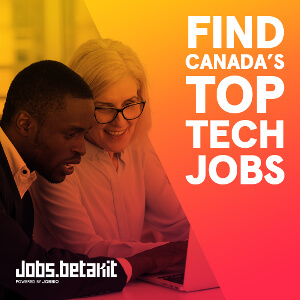 A serial entrepreneur and committed Canadian startup mentor, he is an Entrepreneur In Residence at MaRS, a mentor with Techstars, and a marketing contributor to BetaKit. He spends his days as Head of Growth at online marketplace lender Borrowell. Jeff has a new book out called The Growth Hacker’s Guide to the Galaxy – 100 Proven Growth Hacks for the Digital Marketer. In addition to 100 growth hacking recipes, the book features 9 case studies on super fast growing companies like Shopify, Hubspot and Frank & Oak. We sat down with Jeff to discuss the book, of which you can read a sneak peek below, to talk growth hacking. 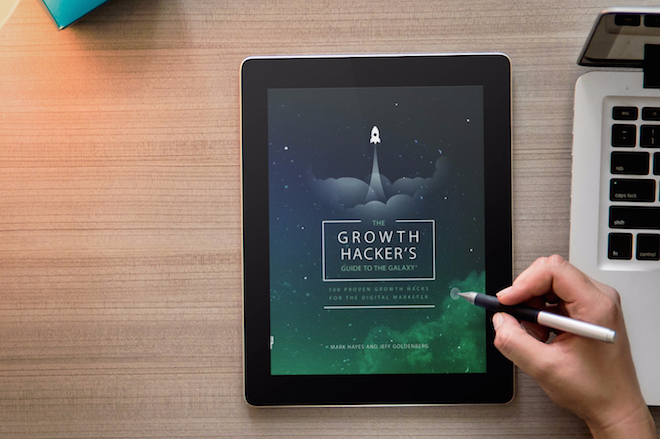 BetaKit readers interested in ordering a special PDF copy of The Growth Hacker’s Guide to the Galaxy can do so here, and get an exclusive 25% discount. The book is also available on Kindle and paperback on Amazon. You’ve been in the startup trenches for over a decade. Why did you decide to write a book now? I had a moment of reckoning at Inbound 2014 in Boston, where I realized the size of the gap between where marketing is now and where it will be by 2018. With increased competition and better marketing attribution, it’s apparent that the winning companies will be the ones who use data and technology the best. So I started studying marketing technology and hyper-growth companies, and over time and through experimentation, I became a more confident and more self- sufficient marketer. Over time, it became apparent to me that you don’t need to be a coder to growth hack. I wanted to write a book that would empower non-technical marketers by providing extremely actionable marketing recipes that can inspire both ideas and tactics for marketers to find customers efficiently. The book wasn’t launched through the traditional channels. Can you tell us about how it came to life? As I began to create the book in my head, I came across an AMAZING long-form blog post entitled The Ultimate Growth Hacker’s Sourcebook. It was written by a guy in New Zealand named Mark Hayes who runs a digital marketing agency called Rocketshp (at the time called Tiger Tiger). It was very close to what I was ideating, so I approached him to discuss working on a book together. His blog post targeted SaaS Marketers and I wanted the book to be useful to a wider group of marketers, so we used the blog post as a foundation for the book. About a week after we decided to collaborate on the book together, the blog post went viral! It was promoted by a few big influencers (Inbound.org, Growthhackers.com, and Forbes to name a few) and over 50,000 people read it. We received awesome comments and emails which made us feel that our time would be well spent expanding on the book. We discovered Insurgent Publishing and Tom Morkes and decided to work with them to publish and market the book. They’ve been incredibly helpful in helping us manage a tricky process. We also launched a Kickstarter campaign and exceeded our pledge goal, which was an awesome experience. As icing on the cake, a presentation we shared on Slideshare was selected as one of the top 15 Slideshares of 2015, and went from 11,000 to 365,000 views overnight. That was really fun to watch. How are growth marketers different than traditional marketers? You know you’re a growth marketer if all your efforts are tied to revenue and efficient customer acquisition – there’s no vanity in the growth marketers game. You know you’re a growth marketer if you approach a marketing challenge with a mindset of curiosity and experimentation. You know you’re a growth marketer if you’re obsessively focused – you’re not throwing everything against the wall, you’re focused on getting 1% better every week and compounding that growth. You know you’re a growth marketer if you’re the glue between product and marketing, using data to guide decisions and facilitating learnings between groups. Finally, you know you’re a growth marketer if you have the hustlers spirit, and aren’t afraid to get your hands dirty. It’s all part of a growth process that demands patience and tenacity. Is growth hacking a fad or is it here to stay? I think the moniker might be a fad, but the mindset and methodology are here to stay. As marketing becomes more measurable, the vanity metrics will fade away and true marketing efficiency will be table stakes. Marketers with a true north of growth will thrive and ‘spray and pray’ marketers will fade. As marketing becomes more technical, self-sufficient marketers that don’t need to wait for IT support, will become extremely valuable at ALL types of companies. Every day new companies arise that make technical marketing easier for marketers. As marketing becomes more saturated and competitive, data-driven and creative growth marketers will discover new channels that offer more efficient customer acquisition. The rest will spend more for a poorer result. As high ceiling digital channels become more expensive, growth marketers who can develop proprietary channels or build the marketing into their product will reap the rewards. Growth marketing is here to stay, and it’s never been a better time to be a marketer! What are the biggest mistakes that early stage, high growth companies make when it comes to marketing? I’ve worked with dozens of startups and see many common mistakes amongst early stage startups. Most startups don’t talk to enough customers. They assume they know who the customer is and what problems they’re facing. The fastest growing companies grow hand-in-hand with their customers and ensure they’re building the right solution. They also assume they know where their customers will come from. Sometimes they’re right but most often they’re wrong, and they blow through a ton of money before realizing they’ve selected the wrong channel. Many companies only start marketing on launch day one, whereas the best companies are marketing for months and months ahead of their product launch. The snowball can take a long time to build, and you need to give it time. A lot of startups try to growth hack their way to traction too early. They assume product-market fit, even though the data doesn’t support it, and they try to grow without a compelling value proposition or a good idea of their perfect target customer. This almost always leads to burnt money and disappointment. Finally, high growth companies focus on building a marketing machine that delivers predictable and durable revenue growth, not campaigns that come and go. Check out The Growth Hacker’s Guide to the Galaxy. 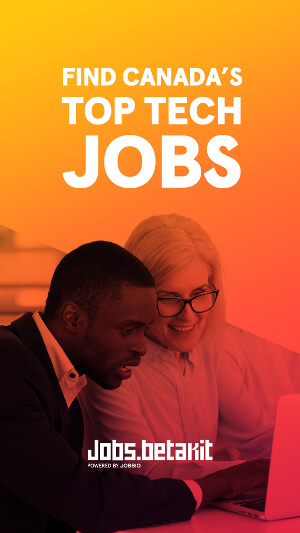 It features 100 growth hacking recipes and 9 case studies, where you’ll learn from some of the fastest growing companies like Shopify, Hubspot and Frank & Oak. Love it – great interview!